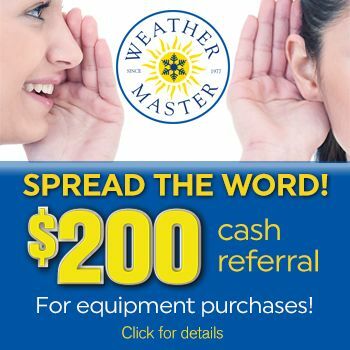 Since 1977, Weather Master has been the contractor Apex, NC residents have relied on. We offer quality heating, air conditioning, plumbing and electrical service. Over the years, we have remained committed to 100% customer satisfaction and our plumbers, electricians and HVAC techs are trained to the highest standards. We believe in excellence in all areas and make it our job to earn your trust. Whether you need a new heating & air conditioning system in your home, repair an existing HVAC system, water heater installation or electrical troubleshooting, we hope you’ll consider us for all of your heating & air conditioning, air quality, electrical and plumbing needs. 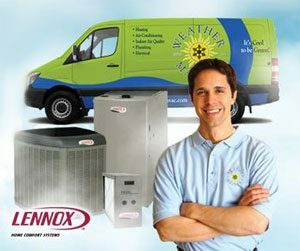 We have been providing professional heating & air conditioning repair to Apex, NC since 1977. By hiring the best HVAC repair techs around, we have created a great team that provides unmatched value to our clients when they need heating and cooling service. Our staff is committed to our mission: establishing long-term relationships with our clients and delivering reliable solutions that are energy-saving and suited to their home or business. Experiencing plumbing issues? Weather Master’s Mr. Plumber provides 24 hour plumbing service to Apex, NC residents. Our Apex plumbers are prompt, courteous and ready to help whenever a plumbing emergency occurs. Whether it’s routine maintenance or replacing a water heater, we guarantee our plumbing service in writing and offer 100% satisfaction or money back. Are your lights dimming? Have you tripped a circuit breaker? When you need the help of a professional electrician, call Weather Master Electric! We offer 24 hour electrical service and our phones are answered live, so you can get your questions answered quickly and conveniently, with appointments made at your convenience. Our electricians are dedicated to providing you with excellent electrical service so that your problem and life can get back to normal as quickly as possible. Our electricians have the tools and the talents necessary to make minor or major electrical repairs, and can typically have your home back up and running on our first visit. Never ignore an electrical emergency – call Weather Master right away. From the professionalism of our sales engineers, to the dedication of our plumbers, electricians and heating & AC repair techs, we are dedicated to delivering you the best plumbing, electrical and HVAC service in Apex, NC area. Ready for excellent service? Give us a call now or schedule an appointment online.